Proper breathing techniques, known as Pranayama, are essential to all aspects of yoga practice. 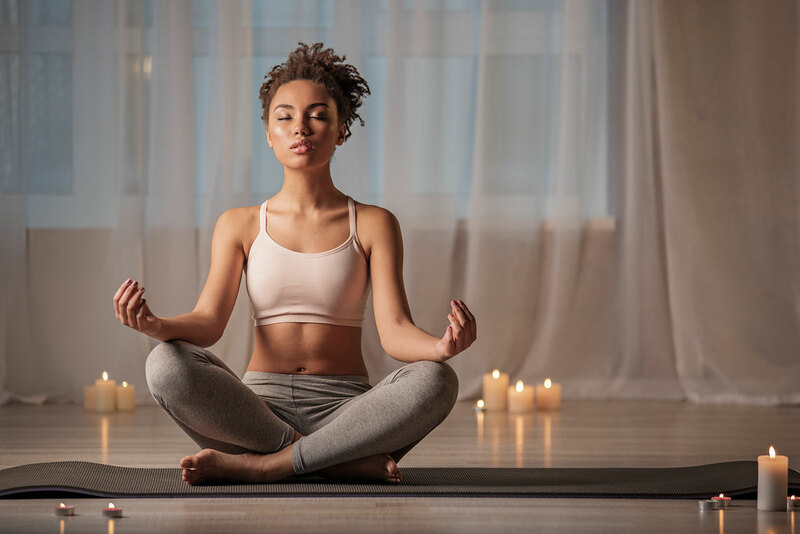 When you make a conscious effort to focus on your breathing patterns, you are focusing your energy within and increasing your capability to accomplish more of everything within yoga and outside of your practice. There are a variety of different Pranayama exercises which you can practice at home or with an instructor. Let’s take a look at some to give you a better idea of what they entail. It is a great technique to try if you are only first learning about breathing techniques. This practice requires the Yogi to inhale as much air as he or she can and hold it for a couple of seconds; and then, exhale slowly. Repeat the process for five to ten minutes and then relax in Savasana when you are done. This technique can also be practiced while working on an asana (pose) and is an excellent lead-in to some more challenging breathing techniques. This breathing pattern, which is used within Kundalini Yoga, requires the Yogi to inhale and exhale the breath through the nose rapidly. The goal is about two breaths per second; in which the navel pumps inward and upward allowing for the spine to force the exhale out. When you have completed a round of this breathing technique, inhale deeply and hold onto your breath for as long as possible. Allow for your breath to then return to normal. When you incorporate this practice with a yoga pose, which is referred to as the Ego Eradicator, it opens our hearts to the light and helps quiet the negative energy we sometimes feel within. This breathing technique is used to help balance the left and right sides of the brain. It is also used to help clear your channels of energy, to improve your focus, and to reduce stress. It requires you to sit still and cover each of your nostrils one at a time, alternating back and forth using your thumb. For optimal results, it is best to practice this technique 12 times. This technique requires the Yogi to eliminate sight and sound and focus within. Begin in a seated position, with your thumbs over your ears and your index fingers gently covering your eyes. When you exhale, hum continuously from your throat. Repeat this process for a minimum of six cycles. This technique allows the practitioner to reduce stress, anger, and bring a sense of calmness. It also helps stimulate the pineal gland within your brain, which will revitalize your mind. This exercise purifies, invigorates and rejuvenates both the body and the mind. As this is known as the skull-shining breath, it is important to visualize your skull filling with a bright light. As with the other Pranayama techniques, the Yogi is required to sit comfortably with proper posture. To begin, take a cleansing breath, in through the nose and out through the mouth. Next, the Yogi is required to breathe deeply through the nose to fill the belly so that it is almost full; then, in a quick and forceful motion, expel all the air from your lungs, while drawing your navel in toward your spine. To end the cycle, allow the lungs to fill up once again naturally. The cycle should be repeated ten times before normal breathing is returned to. This technique allows the release of toxins from the mind and body, as well as releasing negative energy and bringing a sense of revitalization within. These breathing exercises are about rejuvenation and energy to the practitioner, but caution should be advised when attempting these for the first time. If you are unsure about how to begin, always speak with a seasoned yoga instructor for more information. Learning how to apply these breathing techniques to your practice correctly can bring about significant benefits to your overall being.